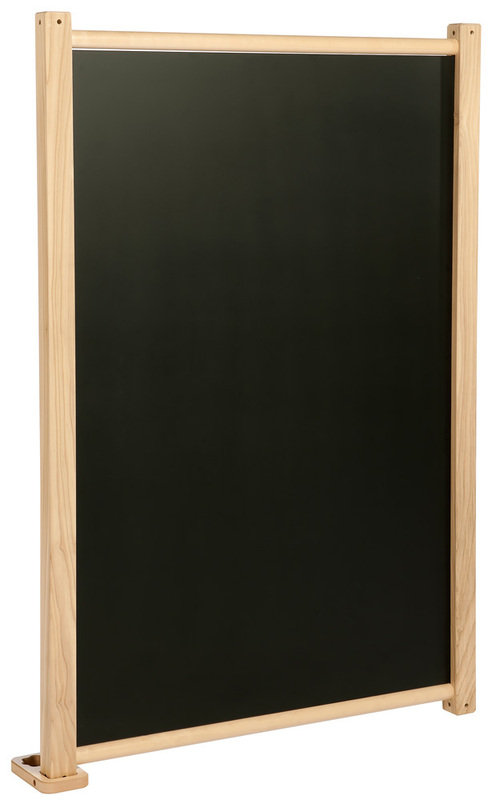 The play panel creative set consists of the display, whiteboard and blackboard role play panels. This set is ideal for encouraging creativity in your school or nursery and allows children to learn in groups. The panels in this set are linked with an innovative modular linking system which is supplied. 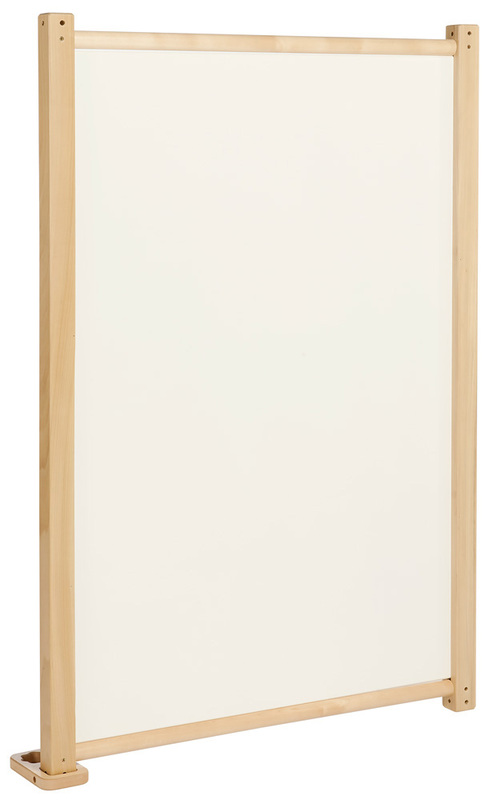 Panels are interchangeable with other play panels in our range. 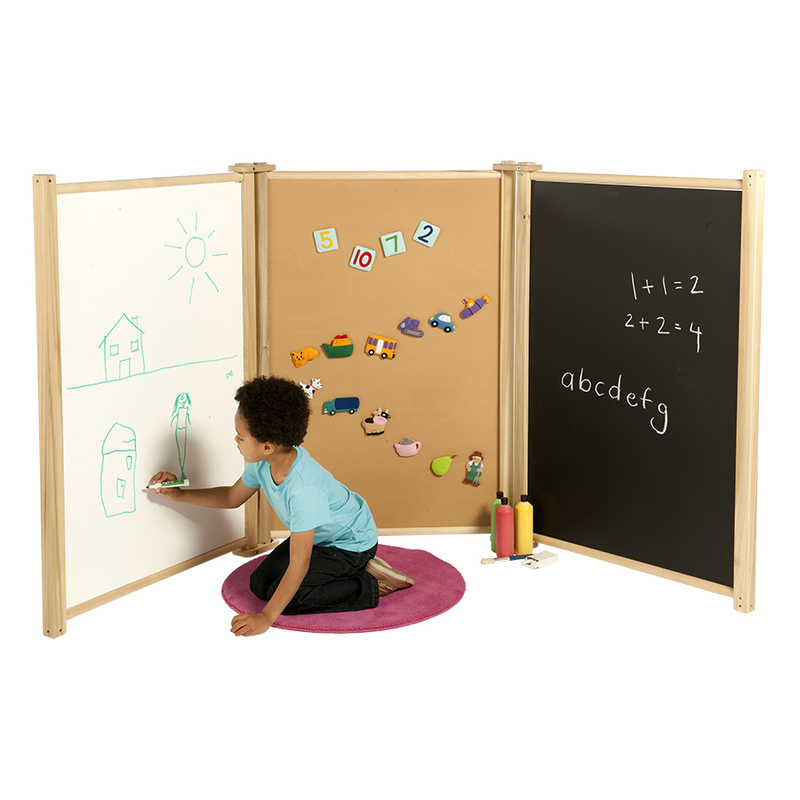 The display board panel is covered in foam-backed loop nylon so you can use Velcro to attach display materials. 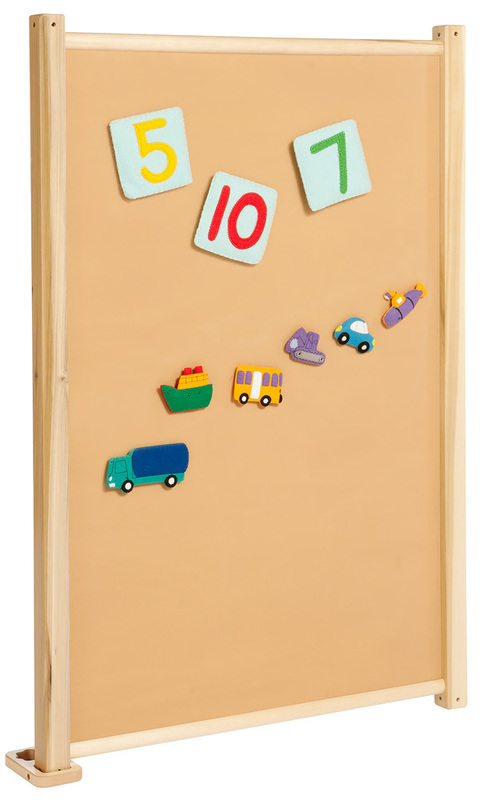 Please note: the pens and paints featured in the product images are not included with the creative play panel set. For more information please Contact Us or call us on 01733 511121.